Hello friends – Welcome to my website! It has been a long time under construction but I’m very happy to say that we are finally making progress. The main goal is to introduce myself to you: my background, music, teachers, performances (both old and upcoming) and, through pictures and text some of the incredible journeys I’ve been blessed to experience all around the world. 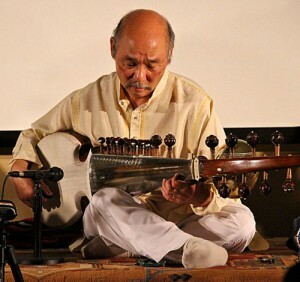 Please look through the sections of this site and join me in exploring the beauty and splendor that is Indian classical music. I also want to introduce you to some of the amazing musicians that I have been privileged to meet in these travels and learning of the music that I love so deeply. Following is a quotation from an Ali Akbar College of Music pamphlet that I serendipitously received back in August of 1969 when I was struggling to find a sarode teacher in Toronto Canada. It exemplifies my feelings on learning this great art music.